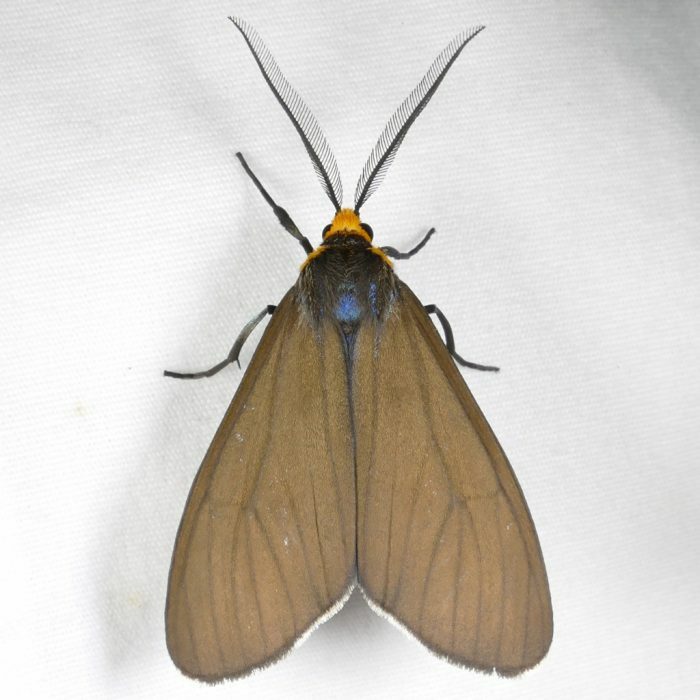 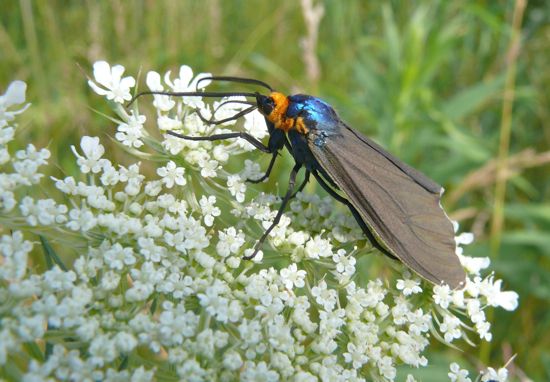 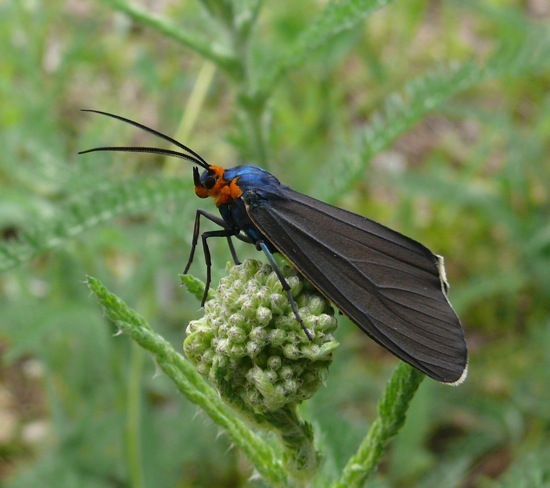 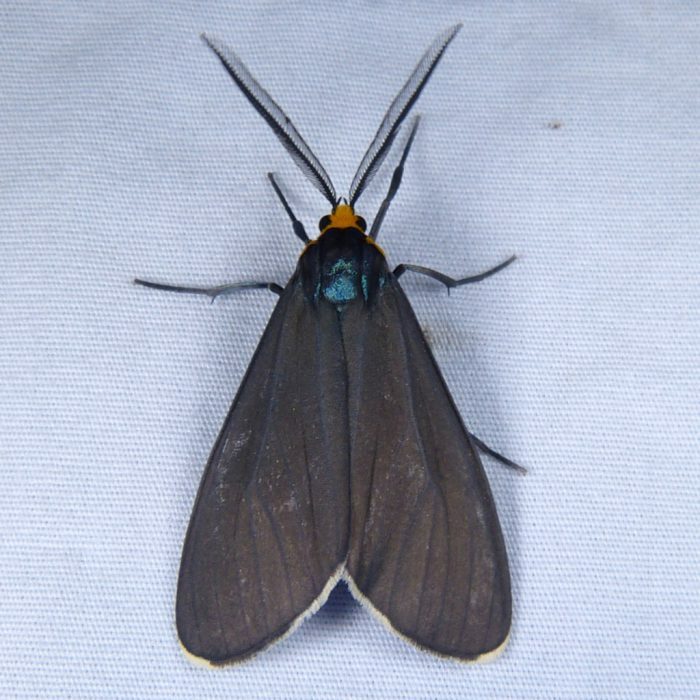 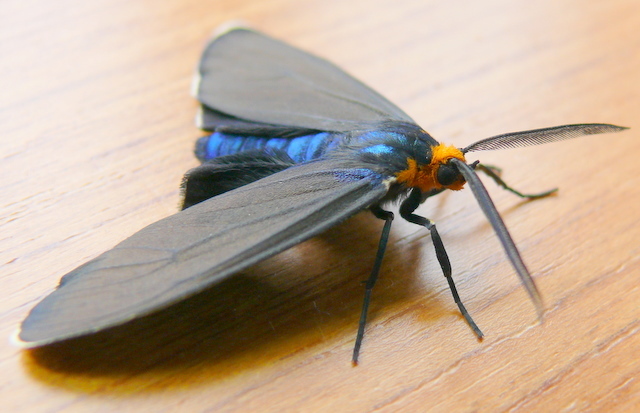 I usually see this species flying during the day, but they also come to my lights at night. 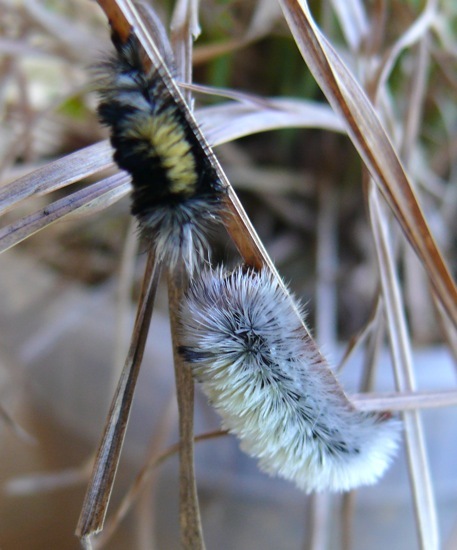 The caterpillars come in two color variations: black and yellow, or yellow and white. 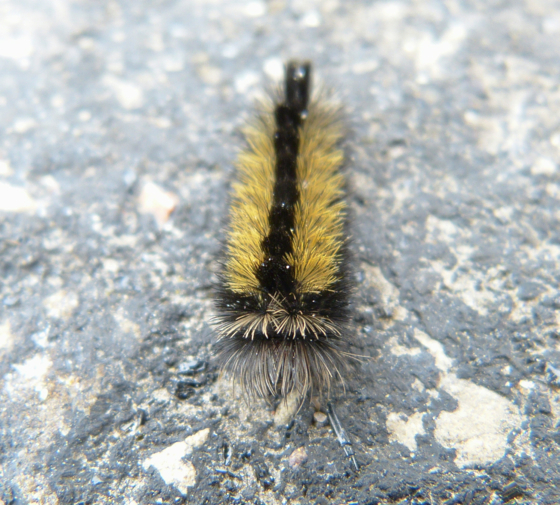 10/29/2016 We see the caterpillars wandering on the road in the winter, anytime the temperature gets above about 20F. 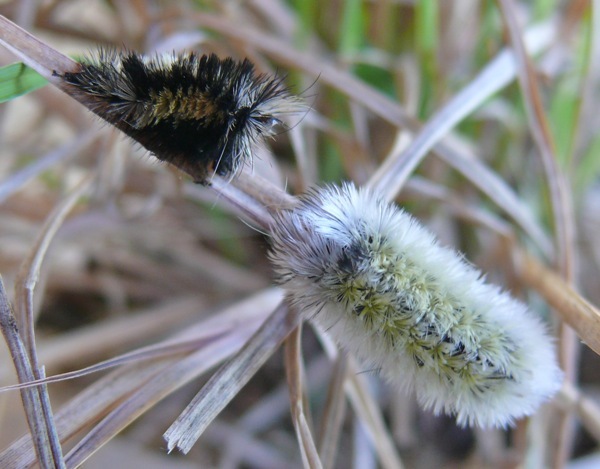 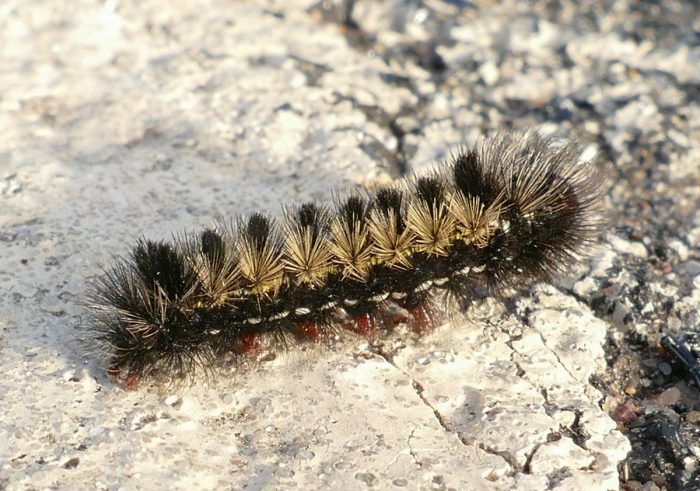 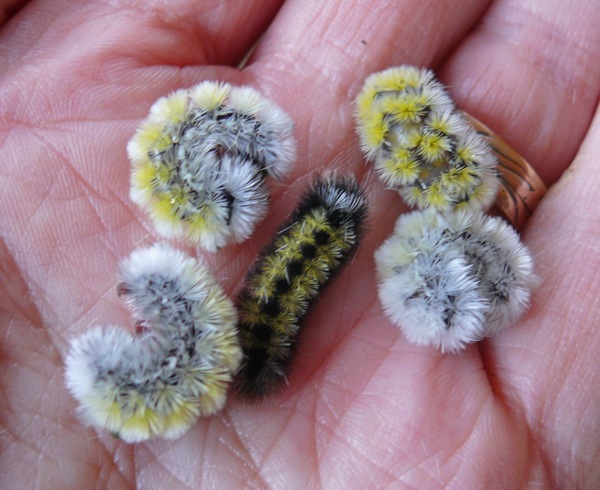 These winter wandering caterpillars are always black and yellow. 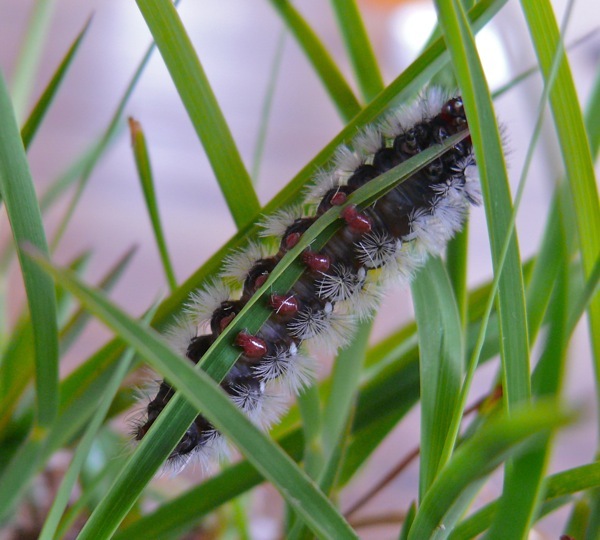 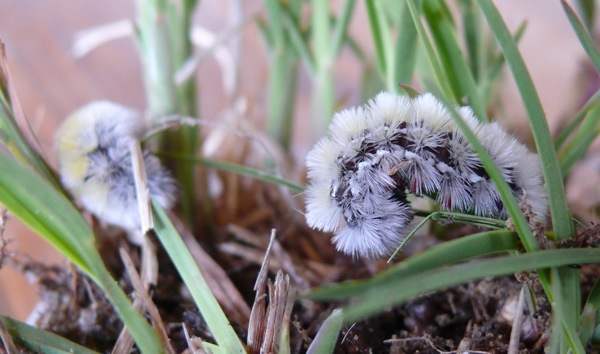 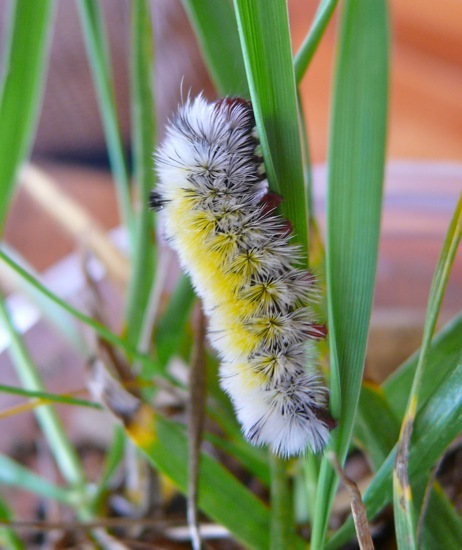 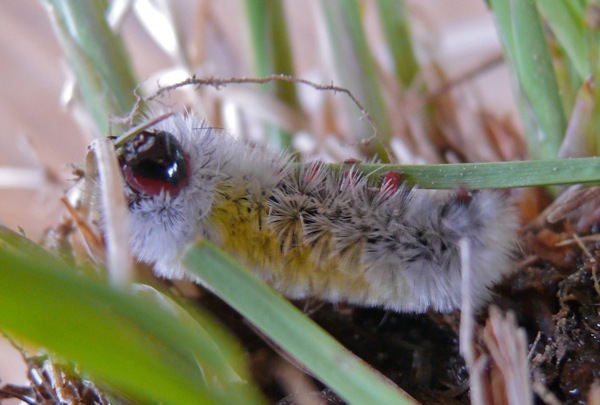 This caterpillar was collected in the grass of a mowed path on our farm on 5/18/2009. 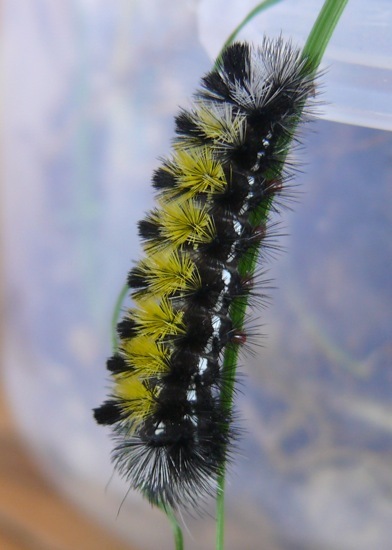 I fed it on grass, and pupated on 5/25/2009. 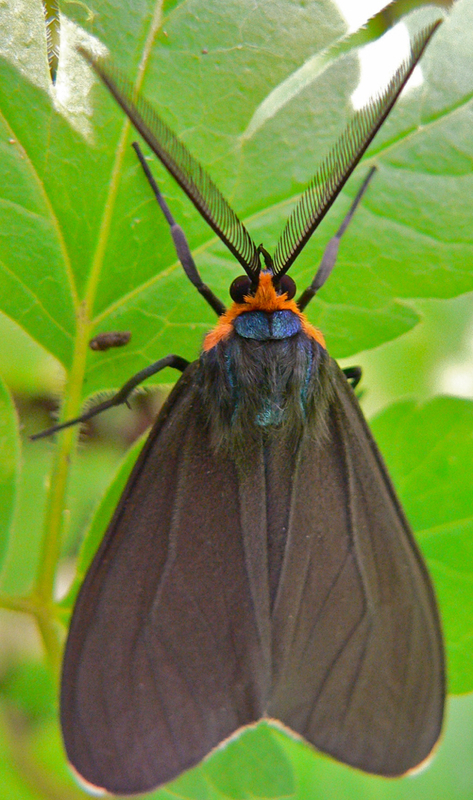 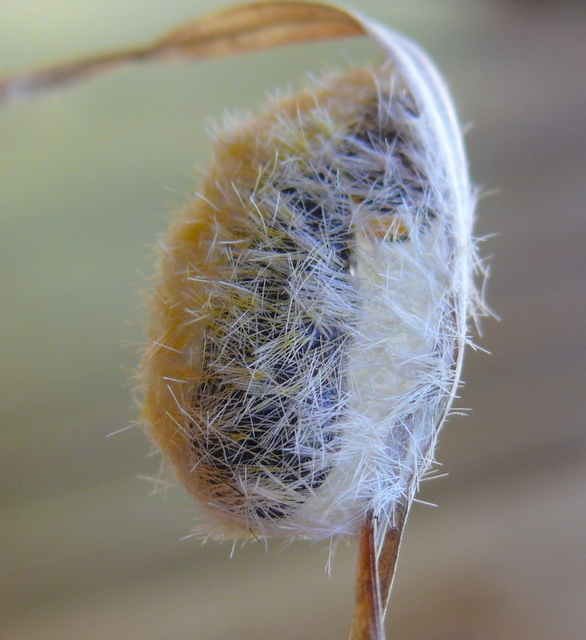 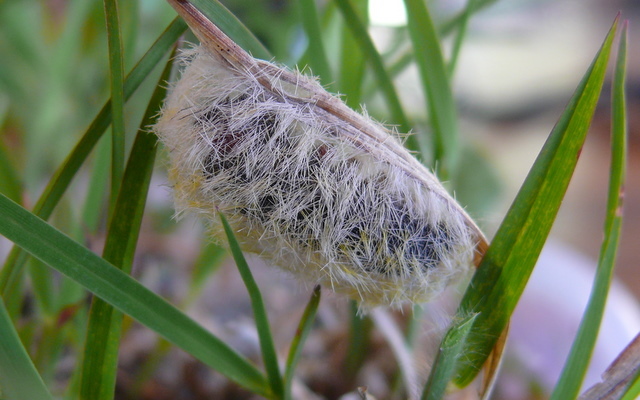 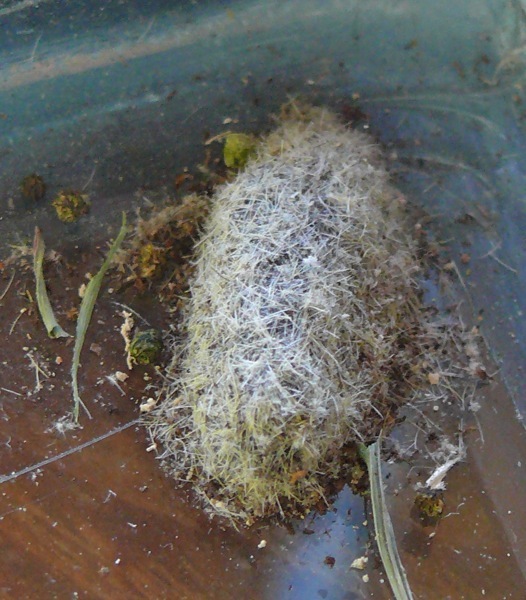 Hairs from the body of the caterpillar were used for the outside of the cocoon. One spring I was cutting some Honeysuckle bushes on an abandoned field, and found several caterpillars hidden in the dry grass at the base of each bush. 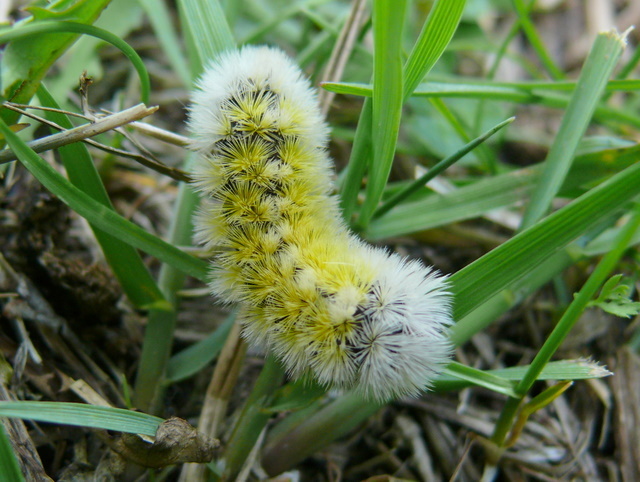 4/30/2010 This is a yellow caterpillar. Both the yellow and the black ones have red feet. 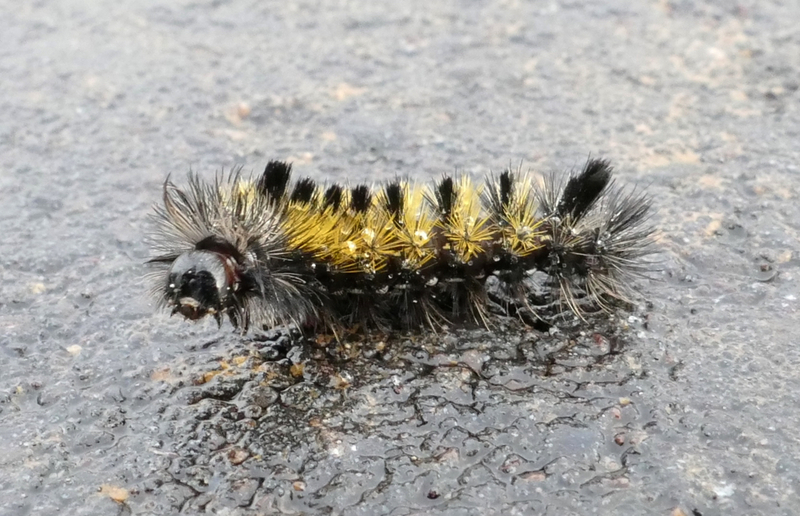 5/19/2010 The yellow caterpillars stayed yellow, but at the last instar, all the black caterpillars shed their black skin, and turned yellow.